Canada has won Gold in Vancouver, 2 Gold Medals on Cypress Mountain and now Canada has finally won Gold in Whistler. Tonight Canada’s Jon Montgomery took gold in men’s skeleton at the Whistler sliding centre. This means that Canada has now Captured Gold at all three venue locations. Canadian ice dancers Tessa Virtue and Scott Moir are just over one point back from first-place Russians Oksana Domnina and Maxim Shabalin after the compulsory dance. The ice dance competition continues Sunday with the original dance and wrap up Monday with the free dance, Virtue and Moir are expected to make the podium. The non Olympic sport story of the day was that Tiger Woods publicly apologized for repeatedly cheating on his wife. He did say that while he intends to return to professional golf, he did not say when that would be. Woods also mentioned that he had undergone 45 days of therapy since the revelations of sexual affairs. This does put to rest the rumours of him hiding in places everywhere from Arizona to South Africa and even that Tiger was holed up somewhere in Toronto and had a Telephone and Mail Message Service at Telsec Business Office Centres. When your company needs a Toronto virtual office to give you a prestigious address and a professional receptionist answering your Telephone calls, Telsec has one of the most well known addresses and some of the best prices for Toronto mail service and Telephone answering service Toronto. 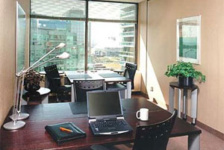 When your company grows and you need a physical office, Telsec can offer you office space Toronto, without having to change your address or your telephone number.